Functions rapidly, can be delegated, and is contact-free, hygienic and painless for your patients. With the Pentacam® you increase the efficiency of your practice management – and that means you increase your cost-effectiveness too. Because the measurement lasts barely 2 seconds – and already, all important parameters are available to you. With the Pentacam® you will find you can organize your preoperative planning with more ease and safety than ever before. The user-friendly software gives you all important information for every operation (Lasik, cataract, etc.). The recordings of the OCULUS lunch symposium at ESCRS 2017 are available. Watch the videos and find out what the experts say about the Pentacam® AXL! New approaches for combining tomography with biometry. A picture is worth MORE than a thousand words. That’s why the Pentacam® prepares the results for your patient consultation in a picture-perfect manner. The exclusive Fast Screening Report will also help you to filter and organize all information for comprehension at a glance. The Belin/Ambrósio Enhanced Ectasia Display helps recognize corneal ectasia at an early stage. A final parameter is calculated and presented in a colour-coded display: one more way in which the Pentacam® helps you make your diagnosis. The Fast Screening Report is an important screening tool of the Pentacam® that helps you identify glaucoma. Among other features, you can evaluate the iridocorneal angle and chamber volume based on normative data and clinical pictures. 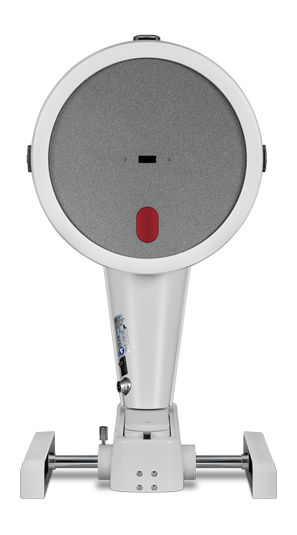 The Pentacam® measures the entire cornea from limbus to limbus without contact. Use the Corneal Optical Densitometry Display to examine the cornea in detail and to plan your refractive surgery. Building on the Fast Screening Report, additional Pentacam® displays provide targeted information: Scheimpflug imaging, elevation data, topography and pachymetry combine to give a comprehensive picture. For documentation of a cataract’s progress and optimal preoperative planning, the Pentacam® offers cataract surgeons a comprehensive analysis and thus the best working options. 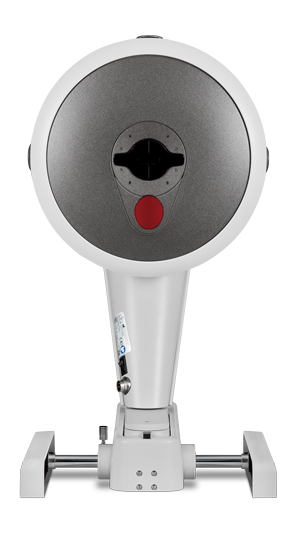 The Pentacam® displays the pachymetry progression, permitting an assessment of corneal structure. Special display features make it possible to plan the depth of the incision with great precision, amongst other advantages. In two seconds you receive a comprehensive overview of the anterior eye segment, along with many customization options for your daily practice. Highest resolution, brilliant image quality, and thus all of the prerequisites for the perfect display of corneal anomalies, amongst other findings. The next logical step in the evolution of the proven HR technology. Includes the new axial length measurement feature for reliable IOL calculation. The current Version 1.20r98 offers you the following advantage (amongst others): the new Belin ABCD Keratokonus Staging Display. Download the update here to get the most out of your Pentacam®. Learn more about various applications and different settings for the Pentacam®, and about the scientific background. Discover interesting case examples which may help you in your daily practice. If you have questions or need more information, simply write us a note. We will be glad to help you.